Eric Terwilliger was born in Bloomington, Indiana, and began to study the horn with Philip Farkas at Indiana University in Bloomington at the age of 18. In 1975, he continued his studies with Michael Höltzl in Detmold and at the Mozarteum in Salzburg. 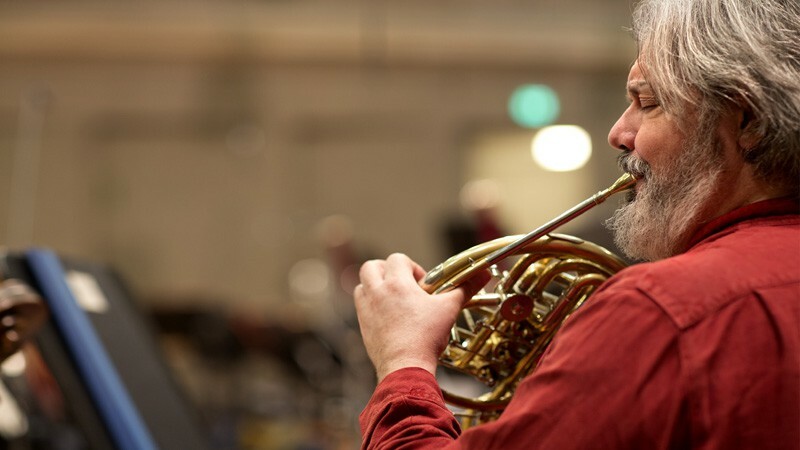 That same year he became principal horn player at the State Theatre in Kassel, a position, he continued to hold when he moved on to the Munich Philharmonic in 1976. Since September of 2007 he serves as principal horn player in the Symphonieorchester des Bayerischen Rundfunks. He performed chamber music with the Munich Philharmonic Soloists from 1977 to 1991 and with the Vienna Chamber Ensemble from 1991 to 2010. In 1995 he was appointed professor at the Johannes Gutenberg University in Mainz and moved on in 1998 to the Richard Strauss Conservatory in Munich. In 2007 he became a professor at the Munich Academy of Music. Between 2006 and 2011 he was a guest professor at the Conservatorio Superior de Aragon in Zaragoza, Spain. Since 2011 he serves as a guest professor at the Conservatorio de las Islas Baleares in Palma de Mallorca, Spain, and at the Escuela de Altos Estufiods Musicales in Santiago de Compostela, Spain.